New York Bridal Fashion Week has come to an end and we are left in awe of all the stunning new wedding gowns and bridesmaids’ dresses that graced the runway. 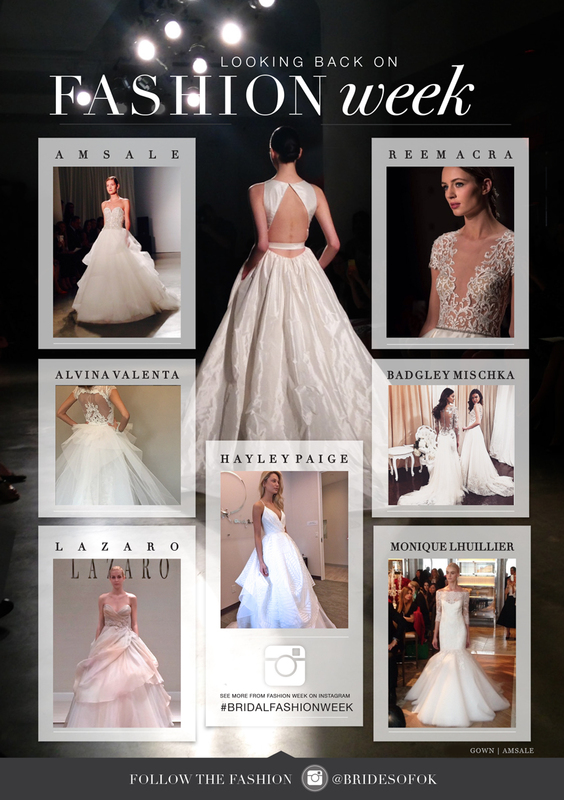 We shared some of our favorite designs from bridal designers like Monique Lhuillier, Reem Acra, Ines Di Santo, Kenneth Pool and Oscar de la Renta on Instagram and Facebook! If you missed our coverage, follow us on Instagram and Facebook and have fun browsing through all of our favorite looks! We can’t wait to share more from the new collections with over the next few months! Cheers!